As a new parent, one of the things you will start to think about well before your baby arrives is how to find the right high chair. Many new parents assume that they will only need to think about this once the baby reaches a few months. In reality, there is more than one kind of chair that your baby (and you) will use before they are ready for solid food. In this mini guide, we take a look at some of the things that you will need to consider when choosing a baby chair for your newborn and your growing baby. There are two types of baby chairs that you will need to consider: a feeding chair that is used for mom and baby during the early months, and a high chair that is used once your baby begins an introduction to solid food. Here’s how to choose the right chairs wisely. Feeding chairs are made to help you bond with your little one during the early stages of feeding. Whether you are breastfeeding or bottle feeding, these chairs are designed to add maximum comfort. The best feeding chairs will enhance the soothing experience for you and your baby. Look out for soft materials and comfy designs that allow you to sit still for long periods of time. Rockers are always useful, as they further increase the soothing sensation of this bonding time. Avoid hard, small, awkward, slippery and uncomfortable chairs. The less comfortable you are, the less comfortable your baby will be as the feed progresses. 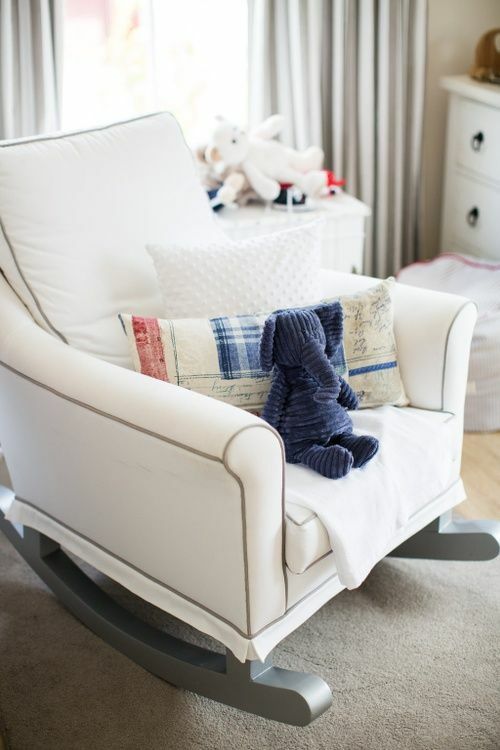 Instead, look out for classic chairs such as the Baby Belle Trés Chic Rocker Chair, which is available in a choice of fabrics and wood colours. You could also try the modern Replica Acapulco Rocker or the Replica Eames Rocker for a bit of boho retro style. Once your baby is old enough to master the world of solids, you can begin looking for a high chair. These chairs are designed to help your baby sit upright for easier feeding. High chairs typically have a feeding tray along with a safety bar or two that hold your little one in place snugly. These chairs are designed to last your baby throughout their early feeding years until they are big enough to eat at a regular table. When choosing a high chair, there are a few things to consider. Needless to say, safety should always be your primary concern. A chair may look good in your kitchen, but, unless it holds your baby securely, it may not be the ideal choice. Look out for chairs that securely hold your little one in place, in a way that helps your baby sit upright easily. 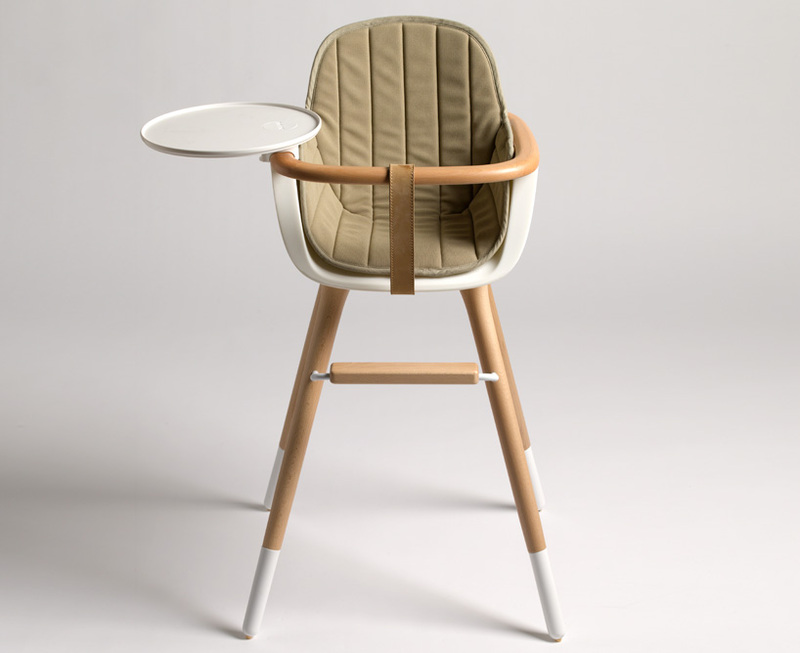 The Micuna Ovo One Highchair has soft adjustable straps that fit snugly around your baby’s arms, torso and legs. This reduces the risk of slips and falls, but it also makes feeding a lot easier. Straps also come in handy as you get closer to the toddler years, with less chance of thrashing and escaping. This chair is available in white and black and can convert into a toddler chair by removing the leg extensions. This chair can be used for up to 6 months. 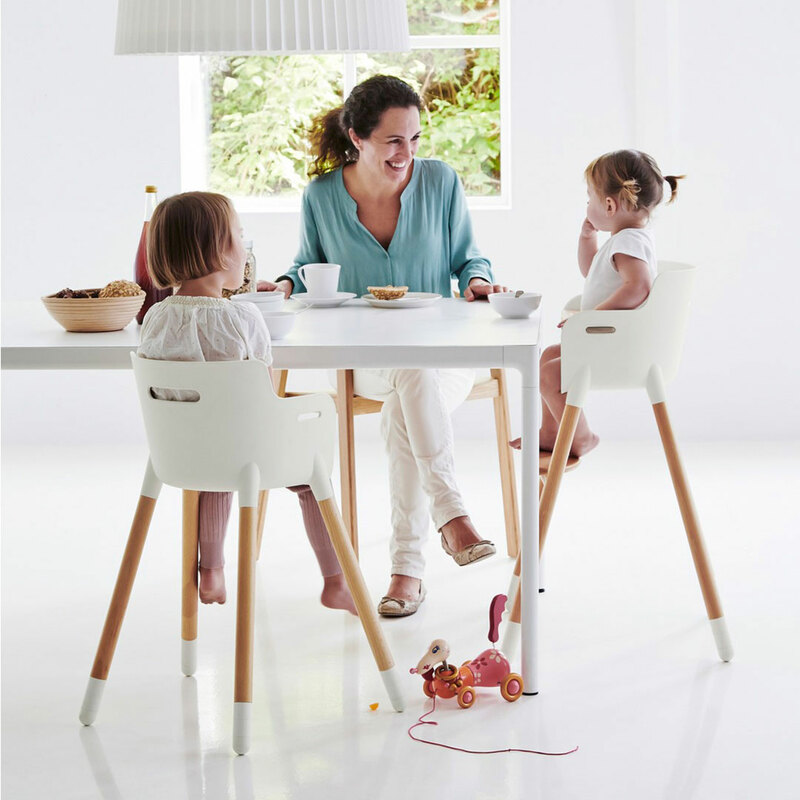 Other chairs to consider include the Dinette Table Chair which conveniently clips onto your existing dining room table or the clever Flexa High Chair which will convert into a junior chair later on. 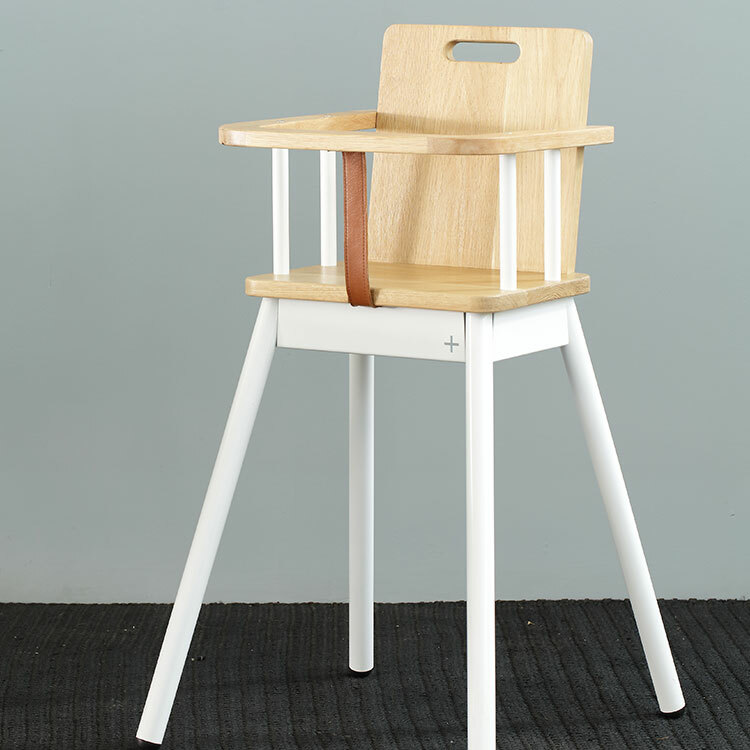 The well priced Royal High Chair could be just what you are looking for, or you could prefer the gorgeous KPA high chair by local brand Pedersen & Lennard. Most high chairs convert to adjust to your growing baby’s needs. 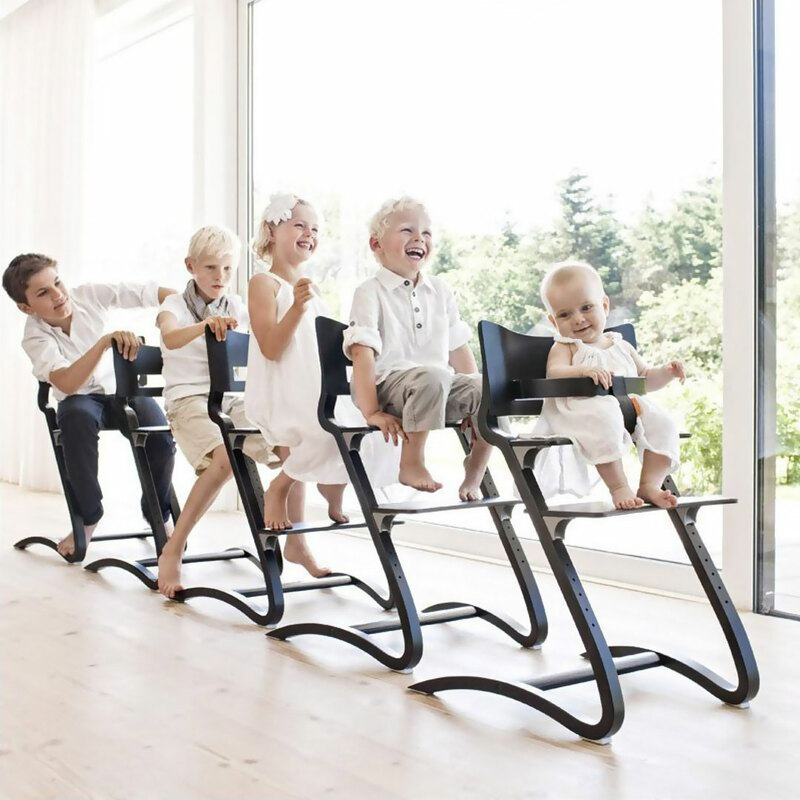 Here Leander has developed a truly attentive design that carefully adjusts to your child’s size with its adaptable footrests that will ensure a proper 90 degree angle of the leg position thereby encouraging good posture. Browse our range of chairs available at Clever Little Monkey to find the perfect high chair and feeding chair today. Amazing! I am searching best portable high chair to make my travel time easy and comfortable with my little one. Really helpful guideline to choose the best one. Thanks for sharing such a helpful guideline.